Breeder: Emmanuel Detronchet, Montaron, France. 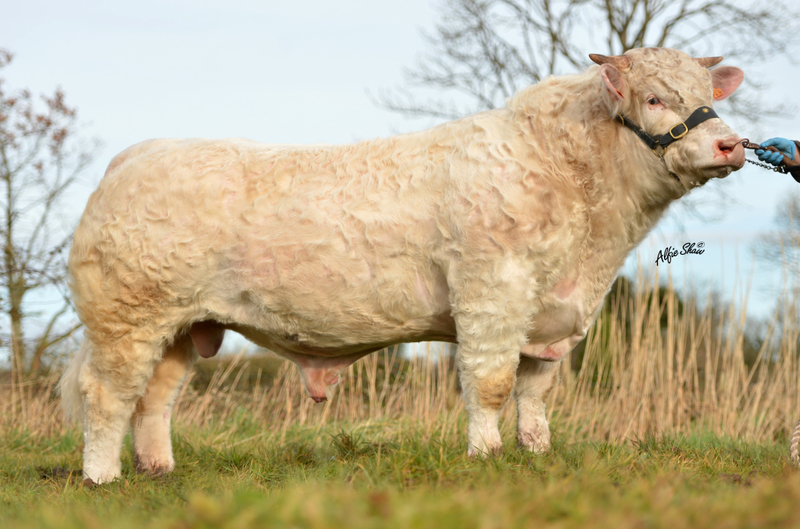 Hideal is an excellent Charolais for Irish breeders. He was purchased for his milk and calving ease pedigree. Volcan bred by Earl Touillon is producing terrific females in the herd. Bichette his dam (pictured) has lots of milk and so too have all Volcan daughters. Unfameux bred by Gaec Vannier, was 1st prize in Magny Cours in 2003 & 2004. Hideal has excellent muscling, length, growth, an outstanding temperament and is foot perfect. Although his pedigree has calving ease bloodlines, Hideal’s performance is incredible. He weighed 502kgs @ under 8 months! 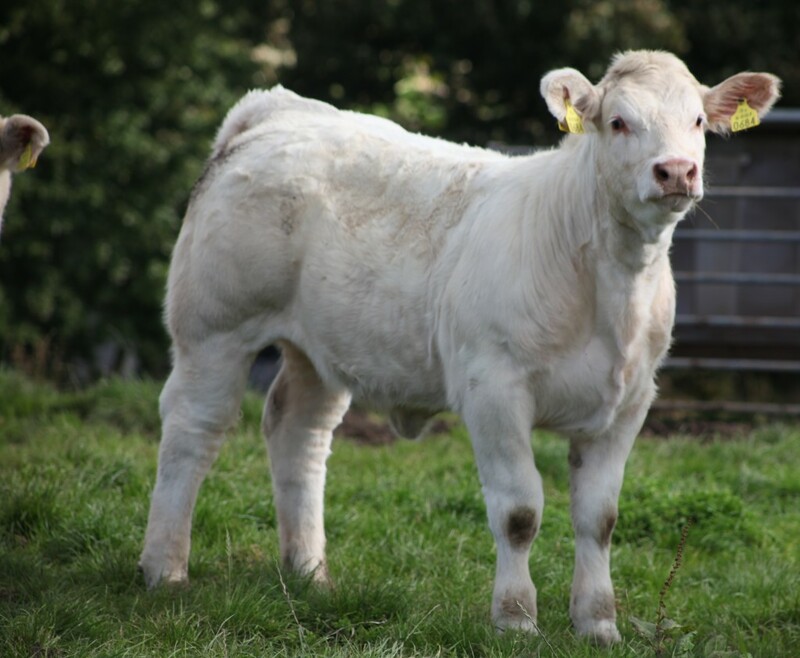 Hideal’s first calves are truly exceptional and have tremendous growth, muscling and style. They are born easily, have good length, fabulous topline’s and have great character. 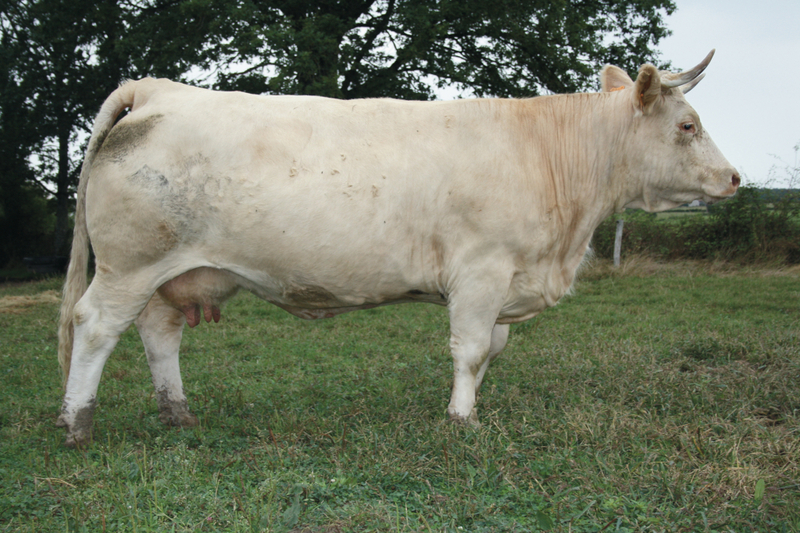 Hideal has developed into a very long, clean, correct bull with excellent width at the plates and hindquarters. 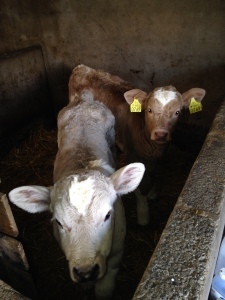 Hideal calves off dairy cows pictured @ 2 weeks. Hideal daughter “Deelview Joanne” bred by Ian Maxwell, Donegal. Sold for £3,200gns @ 9 months.